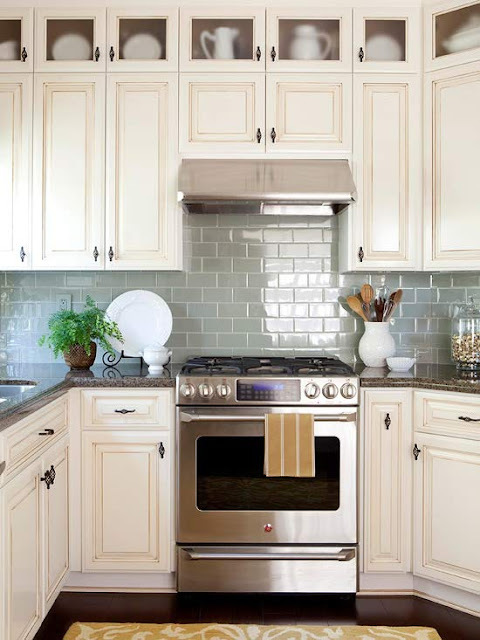 Limestone tile backsplash in a herringbone pattern. 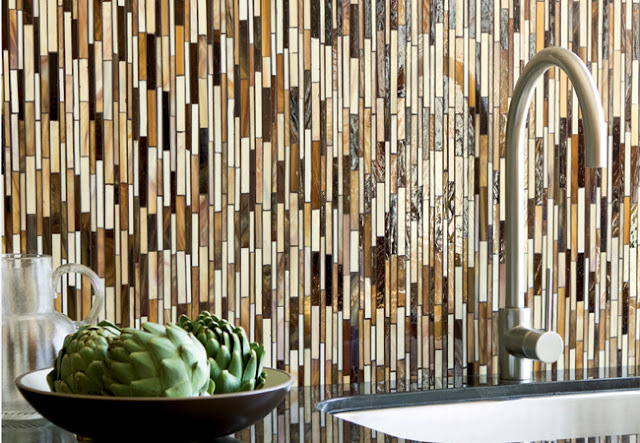 Beautiful porcelain tile from Walker Zanger. This next one is really fun...pebbles! Notice there isn't any grout. Blue subway tile. A great change up from the popular white subway tile. 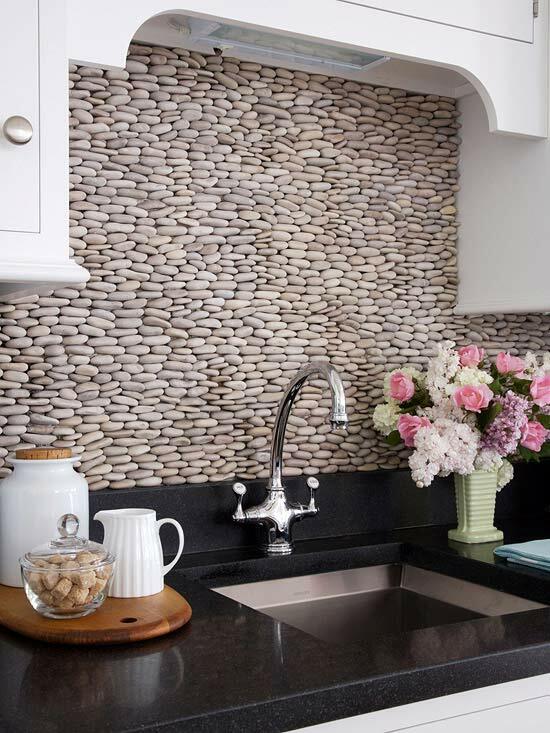 Unique Tile Backsplash Ideas for Kitchens. Tile Backsplash in a Kitchen. 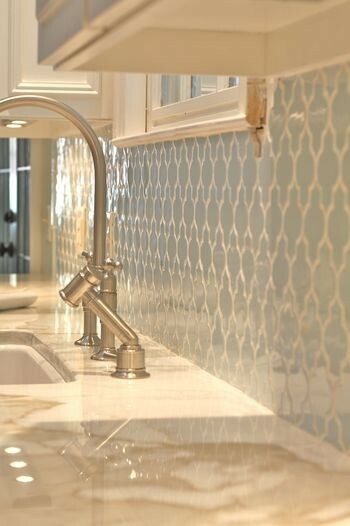 Beautiful Tile Backsplashes in 3 Beautiful Kitchens.